Click here to view a complete story map on the TowardZERO initiative. Baltimore has joined the ranks of cities with Vision Zero approaches to traffic safety. 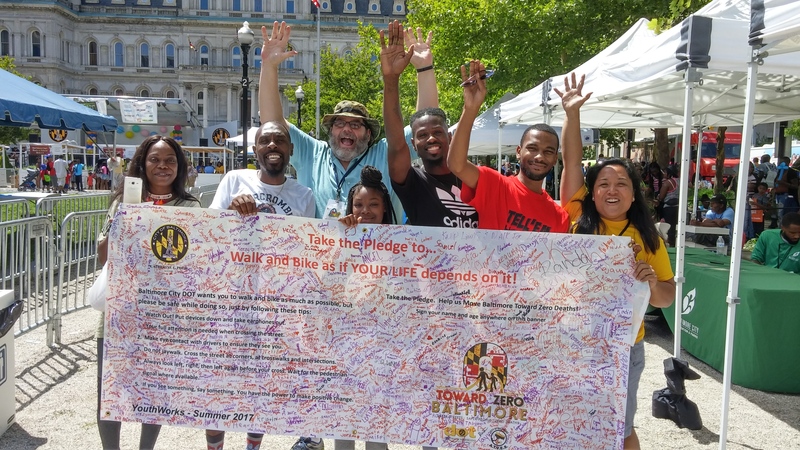 TowardZERO Baltimore aims to prioritize safety within the city’s multi-modal transportation network and ultimately eliminate roadway fatalities and serious injuries. 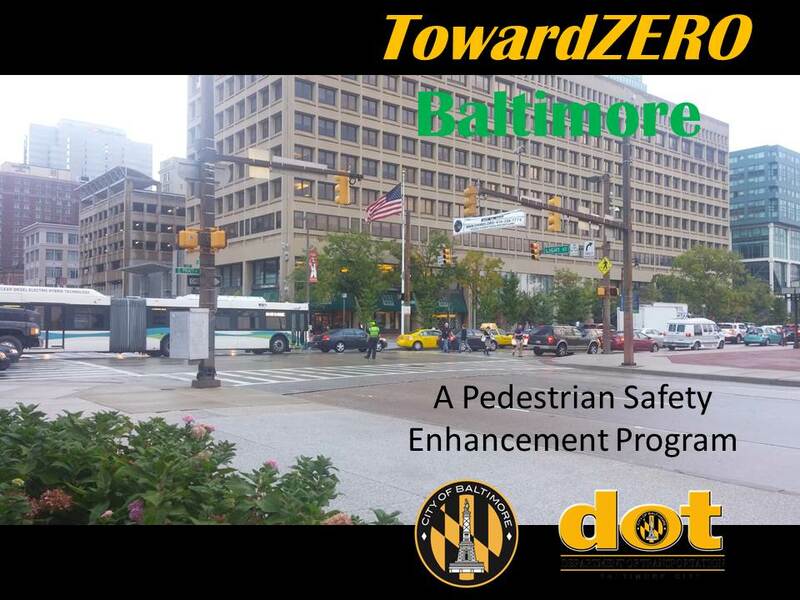 TowardZERO Baltimore is a long-term initiative which will move Baltimore TowardZERO pedestrian fatalities and severe injuries and commits the city to reaching this goal by 2030. Baltimore’s transportation system, comprising a network of pedestrian and bicycle facilities, transit, and roadways, should integrate safely and move people from origin to destination, regardless of who they are, where they are going, or what mode of travel they are using. Today, an average of 12 pedestrians is killed, and over 900 seriously injured in traffic crashes each year on Baltimore streets. 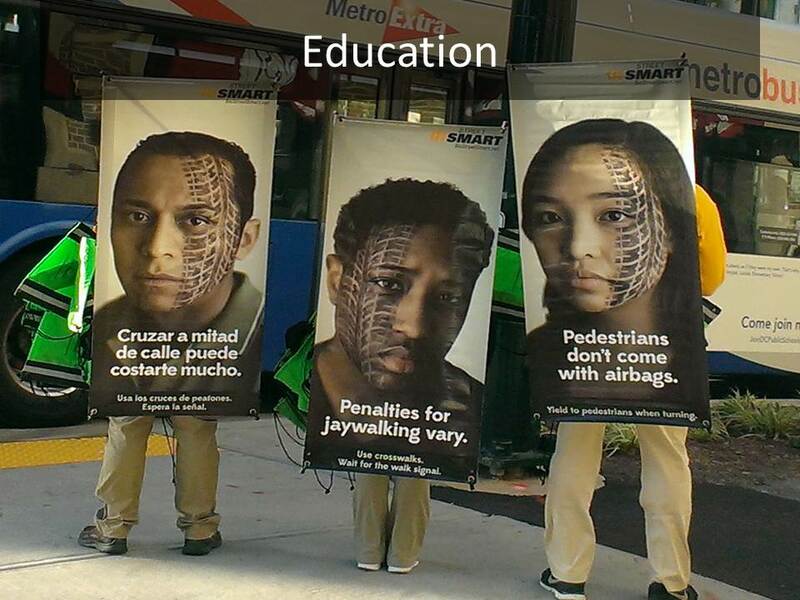 In 2014, we experienced a significant high of 16 pedestrian fatalities. Any fatality on city streets is too many and unacceptable, especially since these tragedies are preventable. The City of Baltimore’s TowardZERO Initiative will implement and expand upon the recommendations within the Baltimore City Strategic Transportation Safety Plan, adopted by Mayor Stephanie Rawlings-Blake in 2013. Strategic actions will include targeted engineering and roadway improvements, enforcement, and education, as well as encourage advocacy, partnership, and policy changes. TowardZERO is a bold and important commitment; it sets achievable and measureable goals and also aligns with state and national goals and policies. This commitment places Baltimore amongst the leaders in pedestrian safety, ultimately creating a truly walkable city. In addition to safety and other benefits, walkability promotes health and supports tourism and economic vitality in our city. To fully support the Mayor’s goal of attracting new families to the city, it starts with a safe, walk-friendly environment. In early 2015, Mayor Stephanie Rawlings-Blake joined the U.S. Department of Transportation’s Mayor’s Challenge for Safer People and Safer Streets, which is a year-long call to action to advance safety and accessibility goals. The Mayor also signed a Vision Zero Resolution this past summer at the U.S. Conference of Mayors, declaring that “no one should die or be seriously injured while traveling on our city streets”. Baltimore City Department of Transportation has also recently begun the citywide ADA establish a schedule for correcting these barriers. Combined, these efforts position the city to be on the right track and now initiating TowardZERO will place Baltimore in the game! For more information on TowardZERO please contact, City Planning office at 443-984-4092. 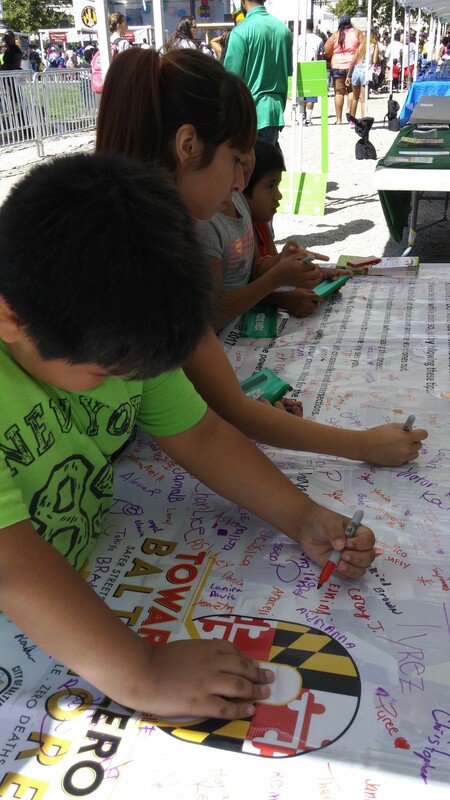 Take the Online Safety Pledge to Walk, Bike, and drive Safe today! !